I’ve been pretty open about my following a predictable daily routine. That’s especially true in the morning when I have the most control. After that, I seek routine but always bend to the necessities of the day. I find that I bend a lot more with the progression of Kate’s Alzheimer’s. Her recent changes and the summer weather have made a difference. As long as I can remember my first order of business has been to eat breakfast. During the past four or five years, I’ve added a daily walk of 2 to 2.5 miles right after breakfast. Over the past few weeks, that’s changed. I was initially motivated by the weather. The morning temperatures and humidity have been a little warmer than I like, so I decided to walk a little earlier. I tried that, but it was still too warm by the time I reached the mid-point of my walk. That led to what I previously would have thought to be the unthinkable – walking before breakfast. It took me a week to get fully adjusted, but it is working now. That first week I was so accustomed to beginning my other daily activities when I got back from my walk that I forgot to eat breakfast three times. It was only a little later in the morning that I felt unusually hungry. I quickly realized the problem. One morning I was hotter than usual when I got home from my walk. I decided to cool off in the pool. I was only in the pool about twenty minutes, but I found it a nice way to end a walk, so that has become my new normal. I’m not sure how long I will continue that. I suppose that will be when the water is colder than I like. That shouldn’t be too long. In the meantime, I am enjoying the new routine. I think it may have some therapeutic benefits as well. I’ll say more about that in another post. With Kate sleeping later than usual, the added stress as she declines, and the increase in the number of desserts we are now eating, I’ve increased the length of my walks. Instead of 2 to 2.5 miles I have gradually increased that to a little over 4 miles. Yesterday it was 4.5 miles. Today it was 4.6 miles. I’m stopping there. Apart from its stress-reduction value, it also gives me more time for reading (listening). That is especially helpful with longer books. Now I am listening to A Gentleman in Moscow. It would take me 16 days walking my shorter route. My new one will allow me to do it in 12. I should also add that I have dropped almost five pounds. For the past couple of months, I have been five pounds heavier than I like to be. Burning more calories really helps. A few months ago, I wrote a post about my personal efforts to minimize the stress that often accompanies caregiving. That particular one focused on exercise. I noted that I have been involved with exercise for many years, most of that in connection with my thrice-weekly visits to the Y. After Kate’s diagnosis, I added walking around our neighborhood the other four days of the week. More recently, I have increased my walking to seven days a week. Even more recently, I have increased the length of my walk from an around 2 ½ miles to 3 miles. Another way in which I have dealt with stress is reading. My life with reading could be described as having lots of ups and downs. In elementary school I was an avid reader of The Hardy Boys series and the orange-bound biographies of Americans of note. Most of my reading after that was devoted to the assigned reading in connection with my class work. After graduate school, I found myself immersed in the books and articles that related directly to my early career as a professor of sociology and social psychology. Later on, when I started my own market and opinion research company, I was involved in a good bit of travel. I tended to read while in airports or on the plane. Much of that reading involved newspapers and periodicals. When I retired to spend more time with Kate, I decided to incorporate reading for pleasure as an essential part of my life. I don’t mean that I didn’t enjoy the things I had been reading before, but most of my reading was related to my professional interests. I’ve always had diverse interests in my personal reading choices. Now I had the chance to pursue a richer variety of topics than I had done before. Kate had experienced sleeping problems prior to her diagnosis. She was a former English teacher and librarian and had been a reader since childhood. It was only natural that she would think of reading when she woke up at night. She decided the easy way to do that was to listen to audio books. I gave her an iPod, and she signed up for a subscription with Audible for two books a month. Gradually, she started listening when she went to bed each night. She kept that up for years until her Alzheimer’s made it too difficult, and the Trazadone she was taking provided her with a good night’s sleep. I took my cue from her. I took out the same subscription with Audible and continue to the present. I realize that the audio format is not for everyone, but it works for me. I was also influenced by a problem with my eyes. I have a severe dry eye condition and find reading, especially in print form, to be difficult. For a while I used a Kindle. That worked pretty well. Then I switched to the iPad, but I prefer audiobooks. I discovered that I like having someone read to me. Listening can be very powerful. That is especially true for books that involve a narrator’s telling the story. For that reason, I find books like The Reader to be an especially good in audio format. Since I didn’t have a sleep problem, I was able to choose what I thought was the best time for reading (listening). That was when I am at the Y or walking. In addition, I continue to read on my iPad. The books I read on the iPad are those that I may want to refer to later. I listen to books about 8-10 hours a week and read on the iPad somewhat less than that. That means I don’t read a lot, but it does add up over time. Since Kate’s diagnosis 7 ½ hears ago, I’ve listened to more than 150 books. In addition, I have read 60-70 on my iPad, over thirty of those by caregivers or people with dementia. I like having those on the iPad. It is much easier to go back to specific parts of a book that way than with the audio version. As for what I read, my books represent a wide assortment of topics, but they are heavily oriented toward non-fiction. Periodically, I try to correct this imbalance. I have read more than a dozen of Donna Leon’s books. She is my favorite light fiction writer. I have also read quite a few of Daniel Silva’s and Louise Penny’s books. Two works of fiction that I have particularly enjoyed are Hans Fallada’s Every Man Dies Alone and Ann Patchett’s Bel Canto. I have found that reading helps to keep my mind on a variety of things that are well beyond my daily routine. Books are a great source of entertainment, education, and stimulation. In addition, I never run out of new material. It wouldn’t work as my sole method for addressing stress, but it plays an important part in my overall strategy. Since Kate’s diagnosis, I have read a lot of things written about caregiver stress. Some of this has come from books written by caregivers. Some comes from a variety of online support groups and blogs as well as reports in the media. It is clear to me that the message is out. I can tell that by how often friends ask me how I am managing. It is clear that caregiving can take its toll. 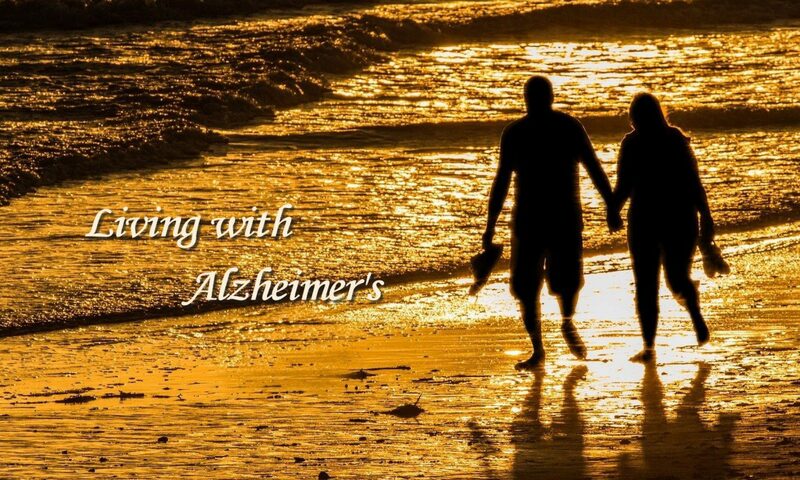 My father cared for my mother who had an undiagnosed form of dementia. He cared for her without any help except on Wednesday mornings when he went to Kiwanis and then ran a few errands. He left her at a senior daycare center during that 4-hour period. I don’t recall his complaining or saying anything about the stress he was under. I was quite aware, however, that it had an impact on him. During the last year or two of her life, he wasn’t as upbeat as he usually was. After she died, he bounced back. It was then I realized the stress he had been under. Beyond that, Kate and I were involved with care for all four of our parents over a period of 23 consecutive years. Kate’s mother lived with us the last 5 years and 3 months of her life. During that time, she had round-the-clock care by a team of 6-7 paid caregivers. Kate was diagnosed 2 years before my dad died. That means I have been involved directly or indirectly with caregiving for 28 consecutive years. Until Kate was diagnosed, I didn’t put much thought into ways that I might minimize stress. My initial focus was a joint one. We wanted to take advantage of our time together. That meant we had to make every moment count. I am satisfied that we have done that and continue to do so although life is different now. As Kate’s condition progressed, I began to think more about stress. I can’t remember the earliest time that I consciously took it seriously, but very early on I began to initiate several changes in my own life to prevent or minimize stress. The first thing I did was to increase my exercise time. For over twenty years, I had been a regular at the Y although my professional travel meant that I wasn’t as frequent there as I wanted to be. As I was nearing retirement, I travelled less. That enabled me to be at the Y three mornings a week on a more regular basis. I arrived shortly before 7:00 and got to the office at 9:00. After her diagnosis, I started walking in the neighborhood the other four mornings of the week. I developed three different routes of varying lengths. The one I considered my default was almost exactly three miles, another two miles, and the third about a mile and a half. These days I still have three routes, but each is slightly shorter than the original ones. As I began to feel uncomfortable leaving Kate alone, I have made some changes I felt were necessary. My major motivation for bringing in a sitter was to enable me to get to the Y. When I considered the most appropriate schedule for our situation, I decided to have the sitter come in the afternoon rather than the morning. That made for a double benefit on Monday because that would allow me to attend Rotary and then go to the Y. We started that schedule in September of this past year, and it has worked well. I have found, however, that sometimes I have other things like occasional United Way meetings that are usually on a Monday. When that happens, I sacrifice my time at the Y. To make up for that, I started walking every morning and going to the Y three days a week except when other things prevent it. Of course, there are always times when the weather is bad. I don’t walk in the rain, and I don’t walk when it is below 25 degrees. You may wonder why I leave Kate to walk but won’t leave her when I go to the Y. That relates to our long-standing morning routines. Since Kate gave up her position as a librarian/media specialist at a local high school in 1990, I have almost always been gone when she gets up. She is very accustomed to being alone in the morning. She also gets going very slowly. That means she is not going anywhere soon after she wakes up. I only recall one or two times that she was up before I returned from my walk. I am gone anywhere between 30 and 48 minutes. I do recognize leaving her is taking a calculated risk, but it is one with which I am still comfortable. I don’t know how long this will last. I’ll be ready to make a change when it looks like that would be best. There are several other ways I tried to keep from being overcome by stress. I’ll address those in subsequent posts. The past two days I have felt more relaxed than I have in several weeks. The explanation is simple. For the past 18-24 months, I have served on a retiree engagement committee of the United Way. We have met monthly during that time. Our objective is to come up with a way to retain the support of our donors as they retire. Within the past six months, the committee’s activity increased. I moderated a focus group for them in early December. During the current year, I was in charge of a short online survey of donors 50 and older to assess their interest in maintaining a connection with United Way. On the basis of this early work we decided to hold a luncheon meeting to explain the establish a new initiative for retirees. We invited everyone who had been in our focus group and all the survey respondents who expressed interest in learning more about Always United. I served on the subcommittee that was in charge of the luncheon. I also served as emcee of the event which occurred on May 1. This added more responsibility but was manageable. It was just a couple of months ago that I made my commitment to speak to our Rotary club about my experience as a caregiver for Kate. While that was something that was easy for me to do in terms of my knowledge, it has occupied a good bit of my time. I wanted it to go well. There was so much to say I had to organize my thoughts and have a good outline of what I wanted to say. There was also a certain amount of anxiety related to the fact that this was my first public statement about Kate’s Alzheimer’s. Not long after my commitment to the Rotary talk, I received a call from the senior pastor of our church asking if I would chair the program committee for a dinner honoring a former pastor. At first, I turned him down. I told him that my responsibilities for Kate made it challenging for me. I conveyed that the bigger problem was not that it would require me to leave her but that it would occupy my mind and add too much stress to my life. After thinking about it overnight, I decided to do it. I felt that in some ways it would actually be therapeutic for me. I enjoy being active and being with people. This would give me another way to accomplish that. I called him back and asked if he had asked someone else. He had not. That led to my selecting a committee and then meeting with them weekly with emails and phone calls in between. In addition, I had numerous trips to church to talk with our communications director and our IT manager who were assigned to help us in any way we needed. It was a terrific committee. I am glad that I accepted, but it did require a lot of work. I am glad to say that all three of the events I mentioned above went well. All-in-all the three experiences were good for me. At the same time they were demanding since they all came at the same time. I am taking satisfaction in the fact that things went well and that I can now relax a bit before something else comes up. I am only minutes away from finishing Jan’s Story. I have a number of reactions. The biggest problem I’ve had is the title. I still think Petersen is telling his story more than Jan’s. It is clear that he has suffered a tremendous amount of stress that I haven’t come close to having. Listening to the book again is causing me to reflect on my own adjustment to Kate. One thing I struggled with is the last chapter or two when he talks about establishing a relationship with another woman. This would seem to be a difficult thing for me to consider. I simply can’t imagine it’s happening. I do understand that each person’s situation is different; so I’m trying not to be too critical of him. As to my own adjustment, let me say that I clearly am making continual adjustments to Kate’s condition and specific things that she does. I do not, however, feel that I am under tremendous stress (underscore “tremendous”). I also experience the pain at signs that our relationship is changing for the negative. One of those is that I have to be very careful what I say and do. She is quite sensitive and feels hurt or angry or both when she feels I am criticizing her in any way. Another thing is the change in our conversations. This is minor at this point, but I can see a more serious change is on the way. I tuned into that problem in Petersen’s book. There are limited things we can talk about, and we can’t get very deep into anything. It is simply too frustrating. I emphasize again that this is not a big issue yet. I say that because Kate is much less talkative than I. She feels comfortable with periods of silence. For me, when there is silence, I feel a need to fill it with chatter about something. For her this can actually be annoying. Now I am more comfortable with silence because I know that this really is good for her. The things that she talks about most involve the yard and her plants and the house. We also talk about previous trips and the good times we have had. Another minor problem for me is something that relates to our differences in communication. I would be more prone to acknowledge publicly my Alzheimer’s. She still wants to keep it secret. I do understand why she feels this way. She is not one to lead a cause; so she doesn’t want to do anything like President Reagan or the UT women’s basketball coach. The big issue for her is the way she is likely to be treated if people knew. As it is right now people treat her normally. That might be very difficult for them to do if they were aware of her condition. One reason I am keeping this journal is that I might want to be public sometime in the future when it would not matter to Kate. I can easily see my creating a blog or speaking to support groups or volunteering with the Alzheimer’s Association in some way. In fact, if my health still permits, I believe I am very likely to make a commitment to work in some volunteer capacity to assist either caregivers or patients or both.